OCEANS 2005 MTS/IEEE will provide a first-ever major focus on Ocean education and outreach, not only for educators and students, but also for all conference participants. Follow the links below for more detailed information on all of the planned conference activities. You may attend, at no cost, the education sessions on Sunday and Monday and tour the Exhibition Hall. If you are presenting a paper during the Technical Program, you will need to register at cost for at least the day of your presentation. (It is optional if you want to register for other days so that you can attend other technical sessions). Registration for the Education Plenary and "One Ocean" Town Hall Meeting on Friday is no cost. You can attend any of the social events by purchasing tickets through the online registration form on the website. An off-line form is also provided and may be returned by fax or mail. On Page 3, you may purchase a Full Registration if you would like to attend the entire conference. You may then skip to Page 5. On Page 4, select Education and Outreach Program if you want to attend the free education events on Sunday and Monday, and select Exhibition Hall if you would like free access to the exhibit booths and student posters. If you are presenting a paper in the Technical Program, select a One-Day Registration for the day you are presenting. You may sign up for additional days if you wish. On Page 5, if you are a presenting author, please indicate the number(s) of your paper. On Page 6, select any Tutorials or the Special Workshop if desired. On Page 7, select any Social Events if desired. If you have any questions about registration, please email oceans2005reg@ieee.org. Make sure that you visit the Student Poster Competition on display in the Exhibition Hall (Tuesday – Thursday) and talk with this dynamic group of students from throughout the U.S. and many coastal nations in the Oceans Conference Class of 2005. Register online for your no-cost Exhibition Hall pass. With the release of the Pew Commission Report, the U.S. Commission on Ocean Policy Report, and the U.S. Ocean Action Plan, the United States has, for the first time, nationally acknowledged the critical need to enhance the American public’s knowledge and understanding of how their lives are integrally and intricately tied to one world ocean. For the first time in its history, the OCEANS 2005 MTS/IEEE International Conference has woven ocean education and outreach as common threads throughout the entire conference program as a way of acknowledging that the ocean acts as a connection among nations. This provides the medium to start a dialogue to increase international awareness of the ocean among all people as their common global heritage, and the important and very critical role it plays in their everyday lives. Scientists and educators working in partnership must lie at the heart of these connections and communications, and professional societies like MTS and IEEE/OES can be a productive place to start. This symposium opening kicks off a day of exciting professional development sessions for educators that introduce them to ways that scientists and educators are working together to bring the world of ocean science and technology to classrooms and informal education settings throughout the world. This half-day education tutorial will provide participants with resource materials and an in-depth discussion in developing a successful proposal. These proposal components include the Abstract, Introduction and Background, Goal/Objectives, Approach/Methodology, Evaluation, Anticipated Accomplishments, Benefits, References, Vitae, Budget Justification, Budget, and Supplementary Documents. During this three-hour session, attendees will each develop a “first draft” of a proposed effort he/she wishes to have funded. Generic Guidelines will be followed to aid participants in developing a competitive proposal. Additionally, attendees will discuss criteria that reviewers routinely use in evaluating a proposal. These professional development efforts and subsequent extramural funding successes—achieved by classroom teachers—certainly help “raise the bar” for pre-college students and educators’ respective school districts. This session may be one of the best three-hour investments you make during this “One Ocean” Conference! This session is a basic introduction to the field of Remotely Operated Vehicles (ROVs). 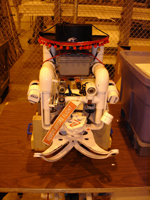 ROVs are used in a variety of fields including marine research, police work and oil drilling. In this session, participants will build a small ROV using a PVC frame and will have the chance to “fly” it in a pool. This is designed to be a hands-on, ask-as-you-go program. The participants will be using 1/2” PVC pipe, 12 Volt motors, insulating foam flotation and their imagination to build a simple, yet fully-functional ROV. It is an effective introduction to the technology of ROVs and is designed to enable teachers to replicate the program for minimal costs and pique the interests of those teachers who may wish to advance their own knowledge of ROVs. Information on MATE workshops, state/regional ROV competitions, and purchasing/viewing text(s) to include ROV technology in your science curriculum will also be available. On Monday, elements of this session will be provided to other conference attendees in conjunction with the MATE/ROV Demonstration at the hotel pool. We invite you to return to take part in this highlight event that recognizes the technological enthusiasm of our students and meet other conference attendees during the Icebreaker Reception. From bioluminescent corals to deep vent worms, from tropical underwater volcanoes to the Arctic Ocean floor, we know more about the Moon than our “One Ocean.” Bring the excitement of current ocean science discoveries to your students using this ocean exploration curriculum and companion CD-ROM of the Ocean Explorer site from the National Oceanic and Atmospheric Administration (NOAA). Join Dr. Valerie Chase, Biologist and Science Education Consultant formerly with the National Aquarium in Baltimore, as you do inquiry- and standards-based activities tied directly to ocean expeditions described on the CD-ROM by ocean science explorers. Receive a copy of the curriculum and CD-ROM interpreting these multidisciplinary ocean discovery voyages using “new technological eyes” to study life and earth science on the ocean floor. Ocean scientists share their explorations directly with your students, clearly articulating the excitement of scientific discovery. Activities written and tested by scientists and educators enable your students to model ocean science exploration in your classroom. Use these inquiry-based exercises in biology, earth or marine science courses to connect your students to the excitement of NOAA Ocean Exploration as they travel from the Galapagos Rift to the Arctic Ocean and from Alaskan seamounts to those in the Hawaiian Islands. Expose Your Students to Ocean Careers! Part 1: Having trouble answering your students’ questions about the relevancy of what they are learning in the classroom? Trying to provide your students with career guidance but not sure of this information yourself? Do you want to expose your students first-hand to current ocean science and technology? OceanCareers.com is a fabulous resource funded by the National Science Foundation and developed by the Marine Advanced Technology Education (MATE) Center and its Center for Ocean Sciences Education Excellence California (COSEE California) partners. The site can help you help your students prepare for success in an ocean-related occupation. It can also answer your questions about how your current skills can be applied in a new occupation and direct you where to go to get additional skills. OceanCareers.com is the most extensive web site of its kind with databases of more than 100 careers, 300 higher educational institutions, 200 professional societies, and 10,000 employers from across the U.S. The site allows users to answer a variety of career questions, including: What careers allow me to work in and around the ocean? What knowledge and skills to I need to enter these careers? Where can I go to find the education that I need? Who will hire me? Part 2: One of the best ways to expose your students first-hand to current ocean science and technology is to provide them with opportunities to participate in scientific conferences that allow them explore poster sessions. Conference poster sessions are particularly suitable for students, as they are similar to student science fairs. Students can gain knowledge about a wide variety of scientific topics as well as an appreciation for how science is done directly from those currently conducting research. In Part 2 of this session, you will learn about scientific posters and how they can be used to strengthen understanding of the scientific method. You will also learn how to explain the posters to your students to prepare them to attend futures conference poster sessions at professional science conferences. This is a great opportunity for you to prepare your students for viewing and discussing posters with college and graduate students on the path to becoming professional researchers and technologists. The ISR is a competitive event that takes place every two years. Contestants come with a wet submarine, usually pedal-powered with one or two operators on SCUBA diving equipment, and compete in a 100-yard dash and/or a slalom course. The event is open to high schools, colleges, universities, or individuals. The applicants form teams who conceive, design, engineer, fabricate, test, and compete. Many institutions give full credit for the effort. Claude Brancart, who served as Head Judge and Contestant Liaison for the recent competition, will provide an overview of this challenging and exciting program and how this activity can encourage students and thus enhance your ocean and marine science, engineering, and technology curricula. Educators will explore one of NOAA’s most frequently used Web resources, the Ocean Explorer Web Site, and one of the Agency’s newest online resources for educators, the NOAA Discovery Center, and receive CD-ROMs and other supporting resources for each. The Maury Project is the American Meteorological Society's comprehensive national program of teacher enhancement based on studies of the physical foundations of oceanography. Participants will learn basic background information and suggested teaching techniques as they progress through the Teaching Modules on Ocean Tides and Ocean Waves. Underwater Robots Invade Oceans 2005!!! Join the Marine Advanced Technology Education (MATE) Center, Hillsborough Community College (HCC), and talented high school students from the U.S. and Canada in a hands-on ROV activity and demonstration! Conference participants are challenged to design, build, and “fly” their very own ROV – all in a matter of minutes! The exercise is based on the “ROV-in-a-Bag” activity used by Hillsborough Community College to introduce students and teachers to the world of marine technology and get them excited about learning technical, teamwork, and trouble-shooting skills. 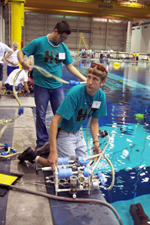 Student teams, including those who achieved the top two awards in the 2005 MATE National ROV Competition (MATE/ROV), will be available to share their expertise and demonstrate the vehicles that they engineered for the national event, which was held in June at the NASA Johnson Space Center’s Neutral Buoyancy Lab. Students will answer questions about their vehicles’ design and operation and give participants the chance to pilot their ROVs. The demonstration will wrap up with a mini-competition among teams that includes mission tasks similar to what they faced at the national event (ROV-in-a-baggers are welcome to take part!). Come and see what innovative young minds are capable of creating – and try your own hand at designing and building a basic ROV! The Conference Committee greatly appreciates the sponsorship by the National Oceanic and Atmospheric Administration (NOAA) in supporting the MATE/ROV Demonstration at Oceans 2005 MTS/IEEE. This is a special opportunity to see our next generation showing their engineering skills and ingenuity and encourage their continued enthusiasm. And all of us will have great fun around the hotel pool as we watch these teams in action. Photos courtesy of Scott Olson, Phoenix International. Following the successful model of the COSEE CA Students@ASLO event in February 2004, local high school and community college instructors are bringing their students to special events during the conference. Teachers and students will attend a poster session where the college and graduate student poster presenters will talk with them about their science and technology research and the paths they have taken to become working professionals. The group will also participate in a panel discussion with four researchers and technologists from MTS and IEEE/OES who will share what they do with the students and answer student questions. Students@OceansONLINE is an interactive online offering that will broadcast the Students@Oceans career panel event to students throughout the world that sign on to participate during a special Web Chat that will be held during the career panel. Students will virtually be able to see and hear the MTS panelists as they discuss their ocean science career choices. They will be able to email the panelists over a period of several days after the panel to ask questions and receive answers related to their ocean science careers interests. Students@OceansONLINE will inspire students to learn more about oceanographic careers and the importance of pursuing the mathematics, science, and technology coursework required to be employed in an ocean/marine technology-related field. 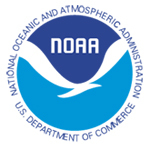 The Conference Committee greatly appreciates the sponsorship by the National Oceanic and Atmospheric Administration (NOAA) in supporting this Live Webcast of Students@Oceans. This is a special opportunity for our students to interact with professionals in our community as they explore their futures. We will be amazed at how much these two groups learn from each other. And we will broadcast this globally to students and ocean professionals throughout our global ocean society. Oceans 2005 MTS/IEEE will provide a special luncheon on Wednesday devoted to Education and its critical role in the future of our “One Ocean” for all conference participants. This luncheon will feature a presentation of the National Ocean Sciences Bowl with the top two teams from the recent U. S. national competition and other key events and presentations. This luncheon is included in your full conference registration. One day registrants and others may purchase separate social event tickets for this luncheon through the online registration form. 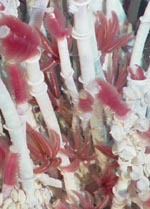 The National Ocean Sciences Bowl (NOSB ®), coordinated by the Consortium for Oceanographic Research and Education (CORE) and funded by agencies of the National Ocean Partnership Program (NOPP) and the National Oceanic and Atmospheric Administration (NOAA), is a national academic competition for high school students focused on concepts in marine science/oceanography. Each winter, over 2,000 students from 400 high schools around the United States compete on the regional level at 25 different sites. In the spring, the winning team from each region participates in the national competition. Students and coaches from the top two 2005 teams are participating in the Oceans 2005 MTS/IEEE Conference to demonstrate the rigor of the competition and share how participating in this program has enhanced their understanding of ocean science and associated potential career options. The Conference Committee greatly appreciates the sponsorship by the Consortium for Oceanographic Research and Education (CORE) for this exciting demonstration of the intellectual prowess of our next generation of ocean professionals as they engage in a dynamic competition. Out attendees at this special luncheon will have a special insight into this wonderful program that engages our students and recognizes their commitment to excellence. Key leaders in the national ocean community are featured as they discuss the importance of ocean literacy for generations to ensure the future of our "One Ocean" Global Society. For the first time in its history, the OCEANS 2005 Marine Technology Society (MTS) International Conference has a continuous theme of ocean education and outreach throughout its week-long event. This bold, new commitment to ocean education and outreach is evidenced not only in the largest number of education/outreach-based technical sessions ever submitted for an MTS conference to date, but also through a robust offering of special events such as the Sunday Professional Development Offerings for Teachers; the Underwater Robots Invade Oceans 2005!!! Marine Advanced Technology Education Center (MATE) Program; the National Ocean Science Bowl Competition Demonstration; and a marine technologies career Web cast entitled Students@OceansONLINE. Scientists working collaboratively with educators lie at the very heart of affecting positive and lasting change in ocean science literacy in this country. Professional societies can play an important role in making connections between these two groups. We applaud the MTS for its dedication to education and outreach and celebrate its renewed direction in education and outreach. Finally, the ocean acts as a connection among all nations and provides the medium to start a dialogue to increase an international awareness and understanding of the ocean as the common global heritage among all people. Scientists and educators working in partnership must lie at the heart of these connections and communications. The MTS, IEEE/OES, and other participating societies and organizations serve as benchmarks and can provide a productive place to start these proactive collaborations. We look forward to advancing ocean sciences with you through your participation in these OCEANS 2005 MTS International Conference education and outreach sessions/programs in Washington, D.C.! Paula Keener-Chavis and Sharon Walker, Ph.D.